Hi Friends!!! Today I’m going to be sharing what butterflies can represent in our lives, design and in giving. 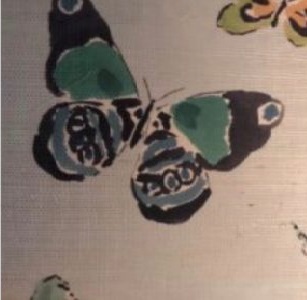 I have always had a special connection to the butterfly. Perhaps it originated from my southern roots from growing up in a small town in Georgia where I chased them in fields of wild daffodils-sounds corny I know!! Just like each of us, every butterfly is uniquely beautiful. They represent new beginnings, giving us hope for what the future has to bring. So… let’s chat about the beauty their fluttering brings to so many! 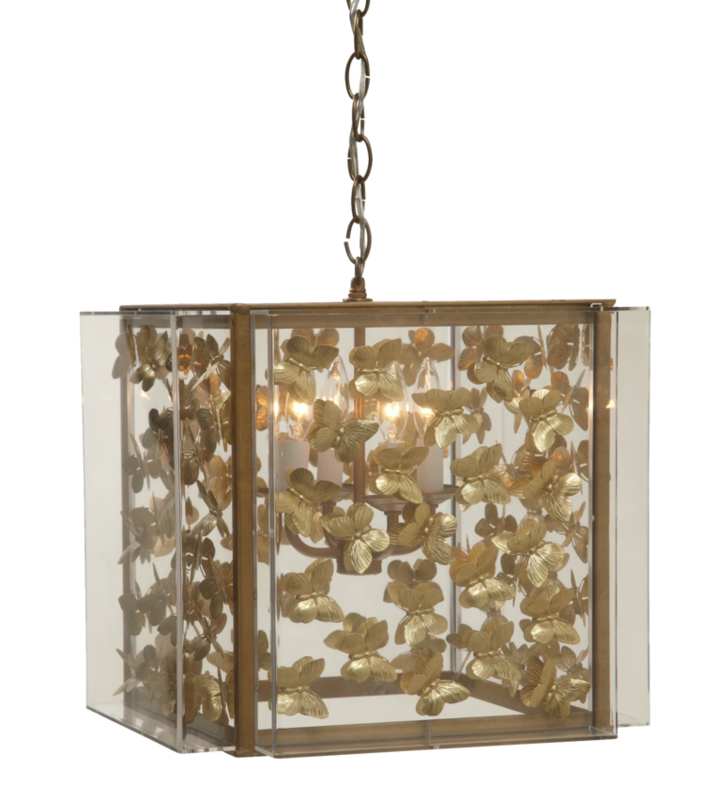 From across the globe butterflies are viewed as symbols of rebirth, representing change, hope, endurance and life! The Christian religion associates butterflies to the resurrection. Butterflies come in a variety of sizes. 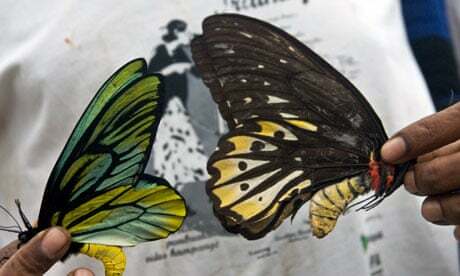 The world’s largest species is New Guinea’s Queen Alexandra’s birdwing, which can measure up to twelve inches from wingtip to wingtip. WOW! 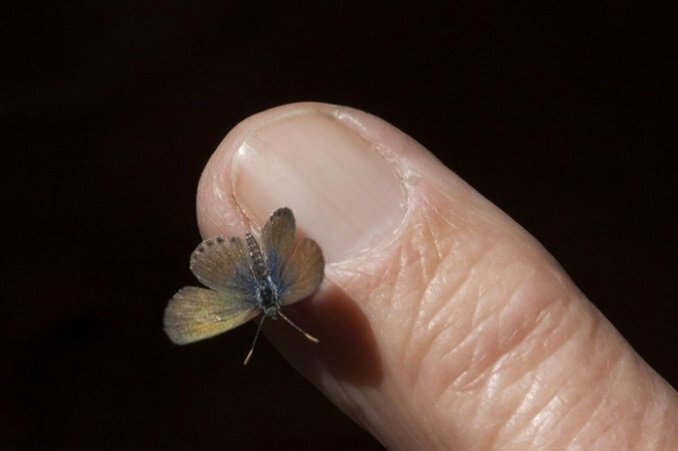 The world’s smallest, the blue pygmy, found in southern California, has a wingspan of just over half an inch. 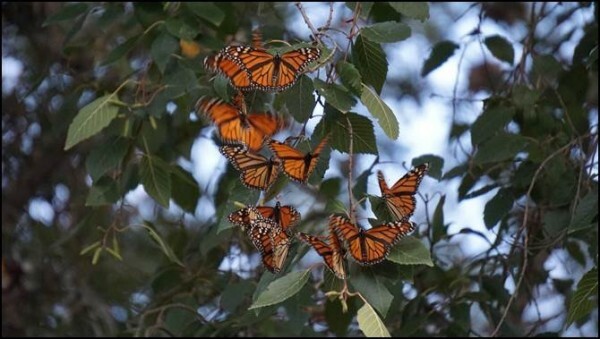 Loving these mesmerizing creatures, one of my bucket list items is to go to San Miquel, an artist community in Mexico, and see the monarch’s migration–want to join? “More than 100 million Monarch butterflies migrate deep into Mexico from the U.S. and Canada to breed from November to mid-April. They fly to mountain forests between the states of Mexico and Michoacan, where they may number 4 million per acre. Butterflies cloak fir trunks and hang on boughs in clusters of tens of thousands, turning the entire landscape a rich, flaming orange.” It must be an amazing sight! Back in my canvas painting days I was hired to create a two panel commissioned piece which would flank either side of a window in a dining room which was designed by Triangle Interiors. When I installed the pieces, both the designer and the homeowner were teary eyed. I had decided to incorporate butterflies into the piece. What I didn’t know was that my sweet client’s mom had passed and butterflies were a special bond between them. This will always be a moment I will never forget. It gave me a deeper feeling of how we are all connected and a greater appreciation of the butterfly. 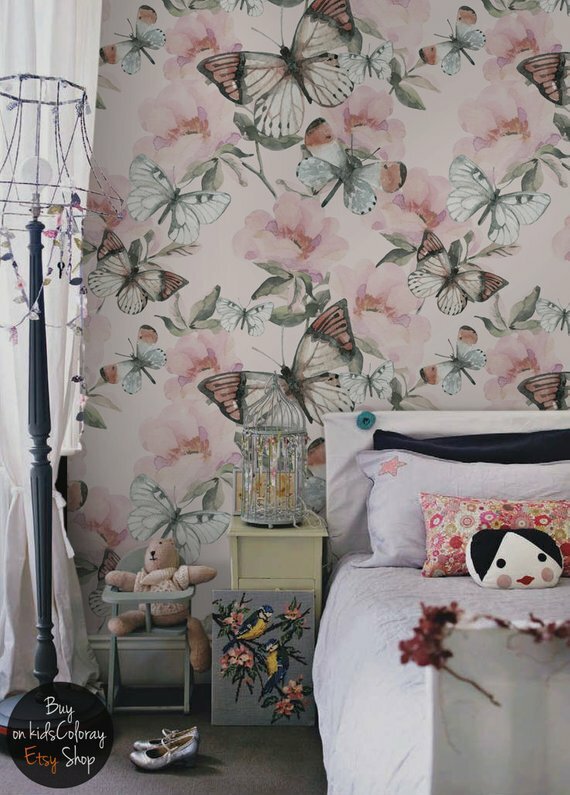 Butterfly decor is no longer designated to kids rooms. 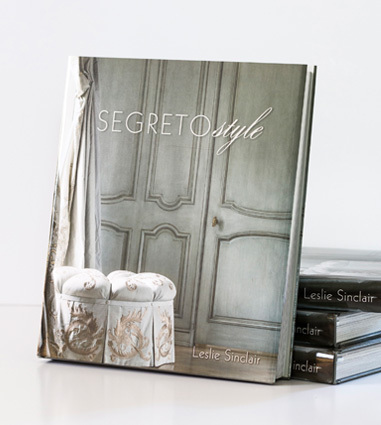 It’s a popular design trend that can be incorporated in any room. 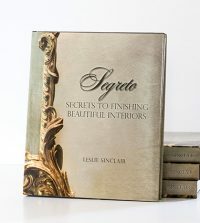 Sprinkling them into your home décor can be a fun way to pump up texture, add life, color and dimension. 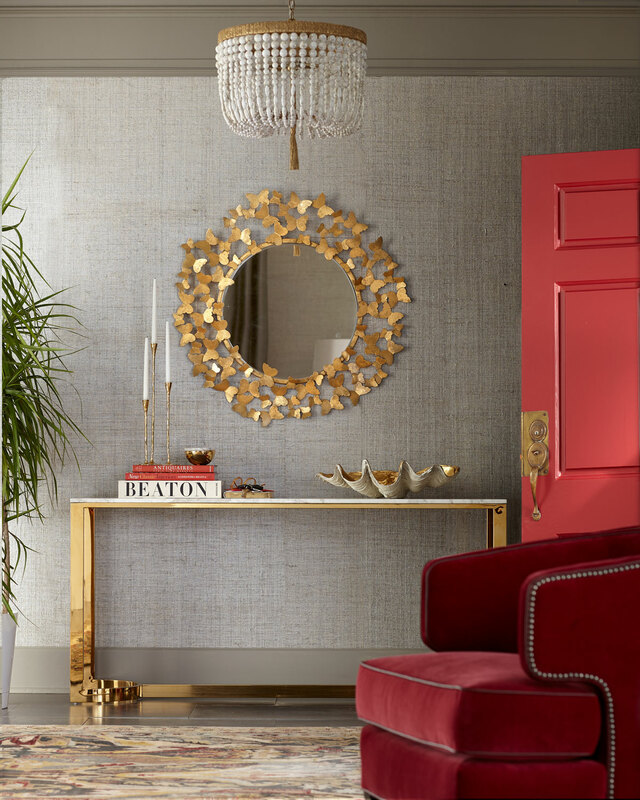 Mirrors and lighting like the ones above are a wonderful way to make a space appear larger and more open. This collection can be found at Neiman Marcus and is currently on sale! when the designs have a bit more breathing room, hand-painted options give you a one of a kind feel and are budget friendly. 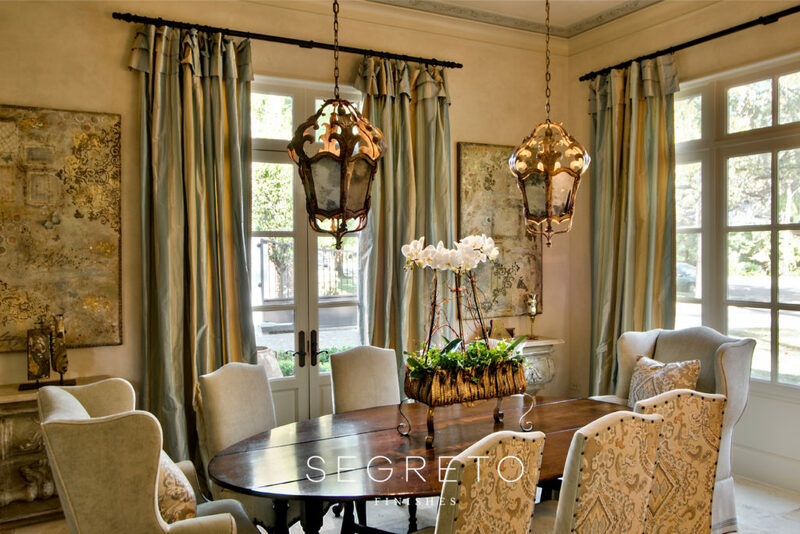 This is a wallpaper sample on the left that our client loved for her dining room. But the price of the wallpaper was a bit more than the client wanted to spend so they asked us if one of our talented muralist could reproduce this. Of course we can! 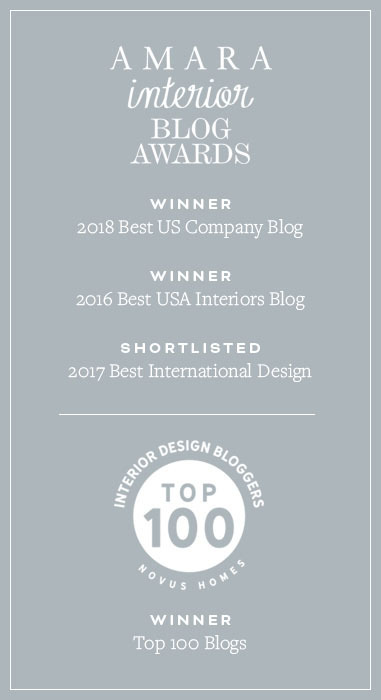 Ashley Goforth the brilliant designer behind the project was able to choose the colors and style which best suited the room. The lovely pastel and watercolor wallpaper above is a bit edgy and super fun! It’s handmade and can be found on Etsy! The designer is named, KidsColoray and is from Poland! How cool is that! I’ve always wanted to visit! 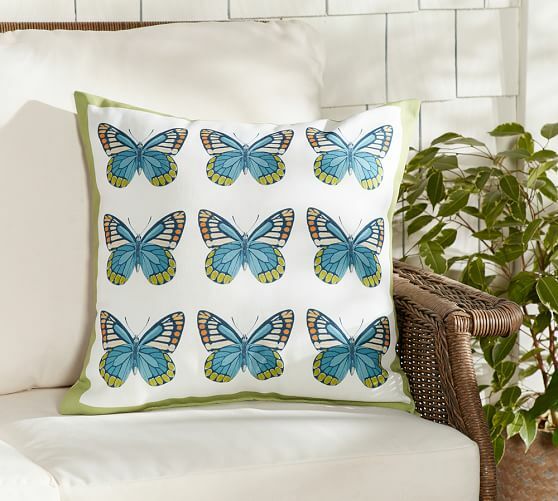 Last, but certainly not least, an easy way to incorporate butterflies is by adding fun throw pillows! One of their best aspects is their accessibility. You can find them almost anywhere and at any cost. 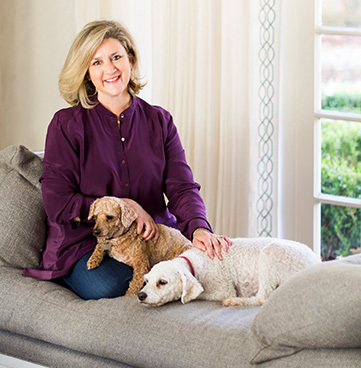 Both pillows shown above can be found at Pottery Barn. Give the gift of the butterfly! Now for true inspiration-Newspring! Remember the blog that I wrote about giving back. 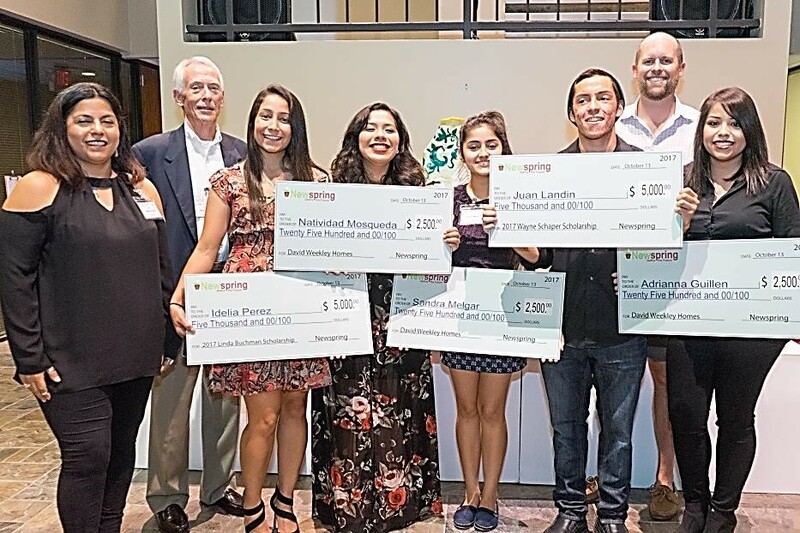 Well, one of the organizations that I became involved with is Newspring which is a wonderful non-profit organization of Christian teachers, business leaders and artists who are dedicated to making a positive social and economic impact in the Spring Branch area in Houston. Newspring, not only helps at risk kids, but also offers two unique opportunities to develop business leaders and support small business development in Spring Branch stimulating economic growth and job creation. I have had the privilege to speak to schools about careers in art, be involved in mentoring businesses and contributing to the educational sponsorship to so bright young people! Now they have a new project!! 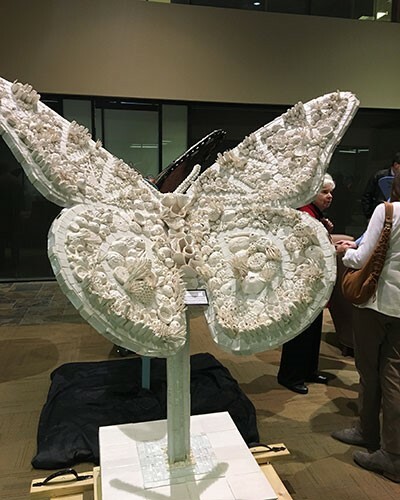 Inspired by the success of the Cow Parade, The Newspring Butterfly festival was created to fund college scholarships for local students who, without financial assistance, would not have an opportunity to pursue higher education. Many of these beauties are designed and painted by the students at Newspring’s after school art programs –some are designed by other schools such as The Kinkaid School here in Houston. When all 50 are complete, they will be exhibited at Memorial City Mall for two weeks in late November. 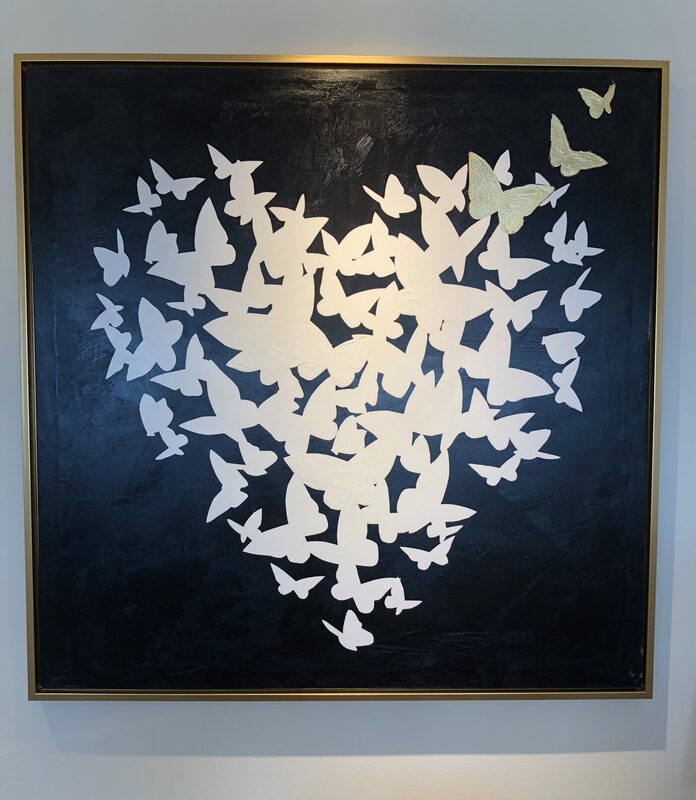 Afterward, each butterfly will be moved to the site chosen by the purchaser. The more colorful, the better! Look at how talented these young folks are and how unique each butterfly is! I got a kick out of the butterfly with the peppers! Which is your favorite?! Newspring does an excellent job at incorporating art and design related skills and thinking processes. “Students will learn top skills from the arts. This will include creativity, confidence, problem-solving, perseverance, focus, non-verbal communication, receiving constructive feedback, collaboration, dedication, and accountability.” The After School Art Program is offered to children aged 8-18 years old and will learn a new element of art each week. More information. My daughter, Kirby pictured above on the right with her sweet mentee. This economic and social opportunity encourages students and their families to value the education and financial opportunities in art. 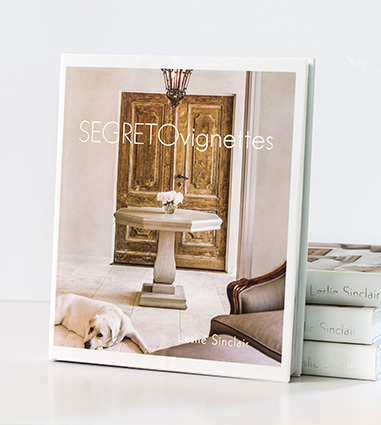 Segreto sponsors a scholarship for a young lady at A&M studying architecture. and would encourage you to lend a helping hand to one of their many programs if you’re able to do so. I’m a firm believer in sharing my feelings and compassion through giving. 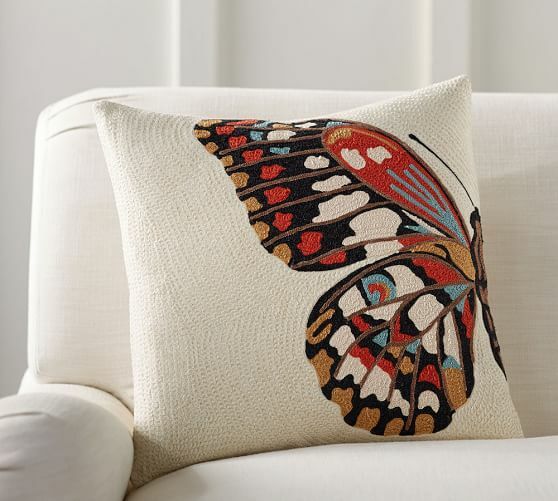 Incorporating butterflies into your home can make the perfect statement that you’ve been searching for. These mesmerizing creatures not only bring in vibrant colors, but also happiness. They can demonstrate transformation of physical spaces, but also the inner transformation of one’s soul. 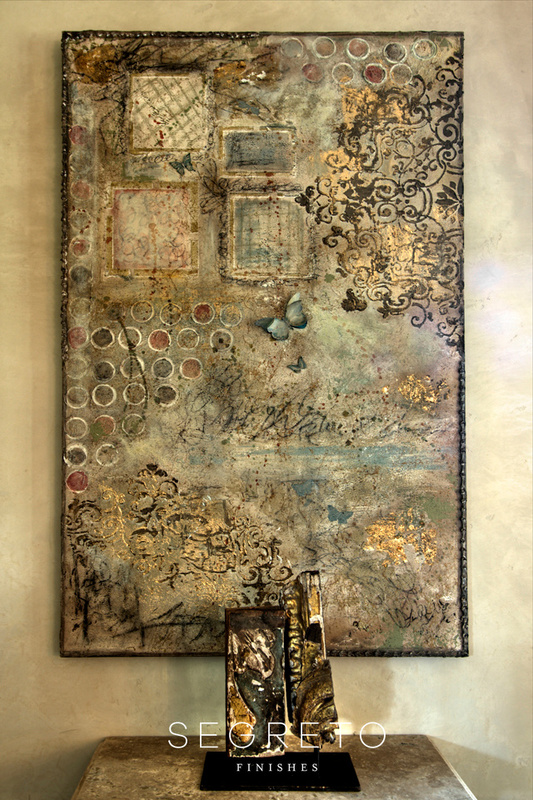 The art piece above can be purchase at Paisley House here in Houston! Isn’t it lovely!